Hi there! Today’s post is about the face mist I’m currently using – Nourish Balance Refining Toning Mist for Combination Skin. 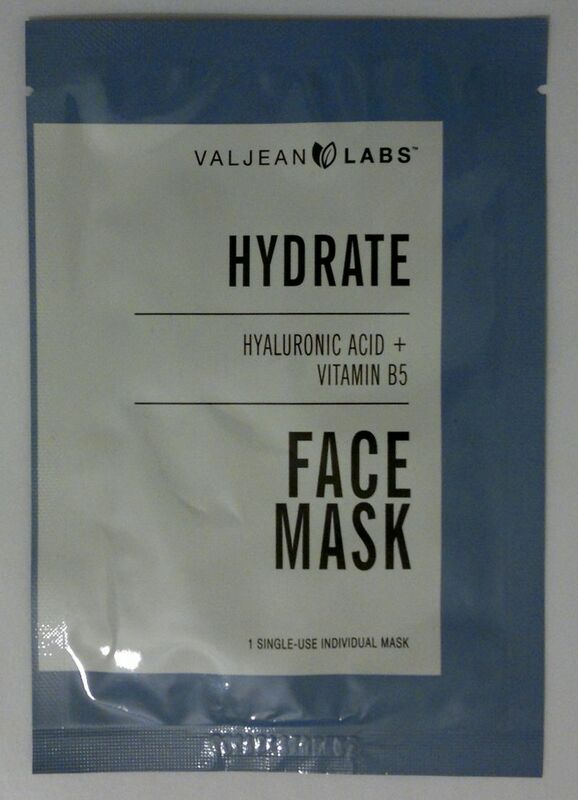 This product, which is 97% organic, promises to balance skin PH, to close pores, and to prepare skin for nourishment. This face mist contains vitamins C, B3, B5 and E, as well as well as niacinamide. Sounds great, doesn’t it? I’ve been using this face mist for a few weeks now, and here’s what I think. 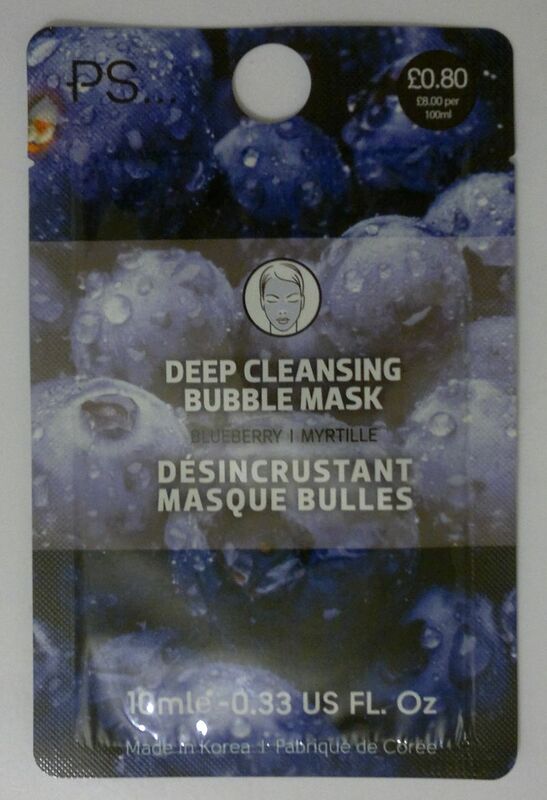 I think this product works well as the first step in my skin care (after cleansing). I spray my face (about 4-5 sprays) right before I use my serum or facial oil. However, I’d like this product more if it had a better spray nozzle. With this nozzle, a spray is more like a splash, and I’d prefer a light mist. Superdrug managed to get the spray nozzles right for their cheap face mists, so I’d expect “better” brands to get this feature right too. Apparently I’m expecting too much. Another thing I don’t like is the strong fragrance. It’s a mix of concentrated apple juice and something else. I can’t put my finger on it, but it’s very strong and it’s cloyingly sweet. Fortunately, the fragrance doesn’t linger! I haven’t noticed any benefits other than hydration. My pores look the same, and my skin tone and texture don’t appear any different. I will continue to use this product because it plays well with my serums and facial oils, but I wouldn’t repurchase it. As of now, Superdrug’s B. Facial Spritz and Superdrug’s Calm Skin Facial Spritz are still my favourite face mists. 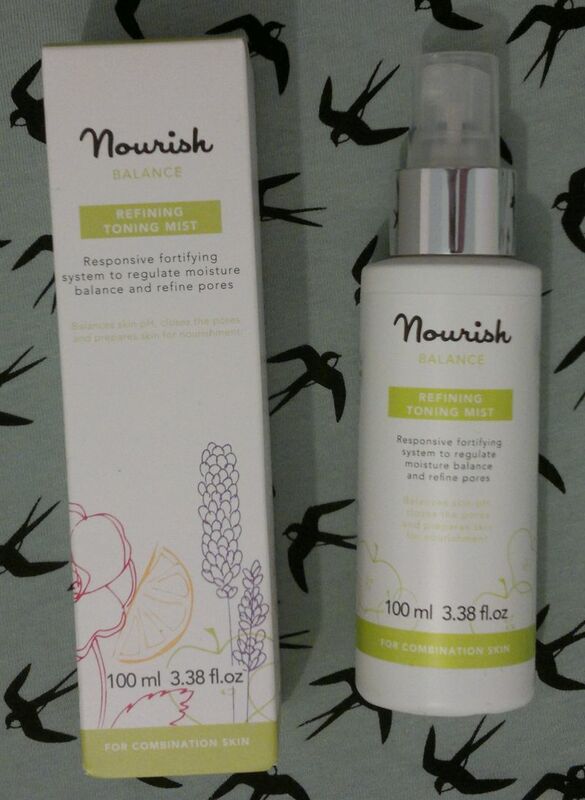 Nourish Balance Refining Toning Mist for Combination Skin is available as 100ml for £12 through Nourish’s own web site. I paid £3 (TK Maxx). Hi there! 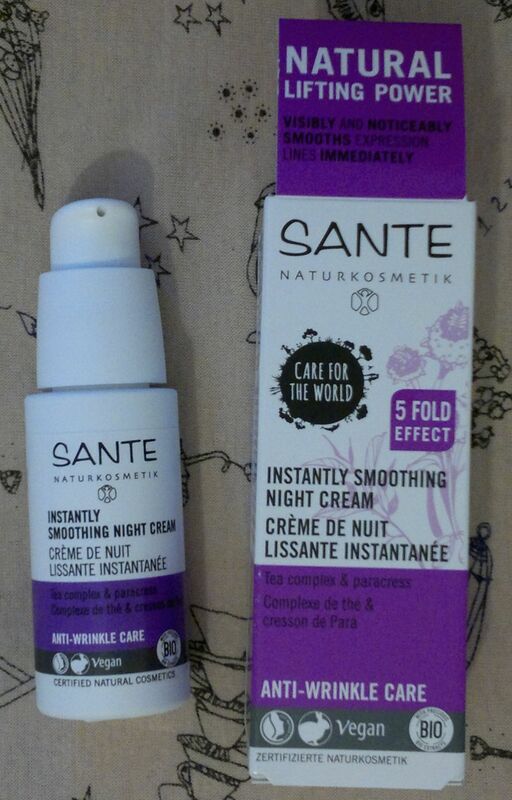 Today I’m reviewing a skin care product – Sante Naturkosmetik Instantly Smoothing Night Cream. I swapped The Crème Shop’s Rose Oil Overnight Gel Mask for Sante’s night cream when I realised that this vegan and cruelty-free night cream has an expiry date. 😲 I still have a few months to finish this night cream before it “expires”, but I thought I should start using it right away so I won’t feel rushed 4-6 weeks from now. OK, this night cream contains paracress as well as tea extracts, and it’s is aimed at people with demanding skin. 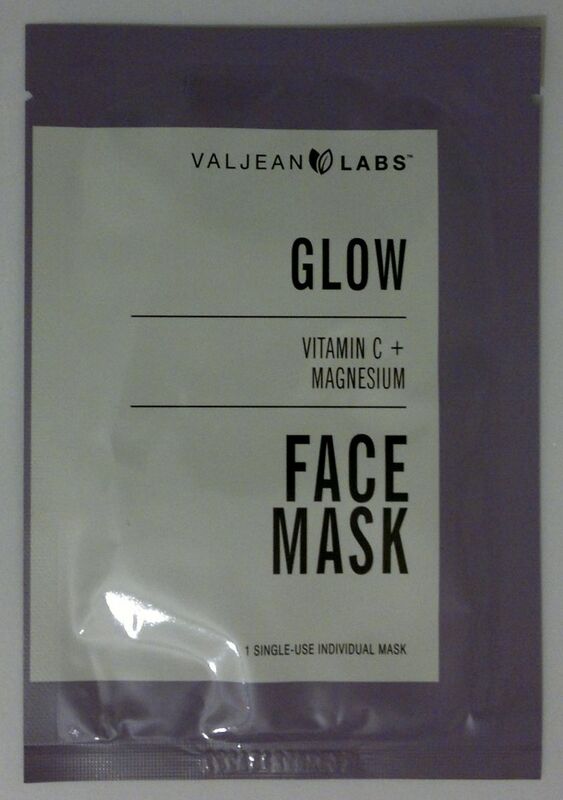 It promises to revitalise skin and to smooth lines and wrinkles. I’ve been using it for a few weeks now, and here’s what I think. The first thing I noticed about this night cream is its scent. Or smell. This night cream smells strongly of random oils. I’m more or less OK with the scent. However, my husband hates it – and this isn’t great. I don’t think that this night cream has any skin-revitalising or wrinkle-smoothing properties. I believe the formula is to blame. I have very dry skin, and I find that this night cream is way too rich – greasy even. It feels like a heavy oil film that’s sitting on my skin. However, when I wake up in the morning, my skin feels strangely dry. I can feel a bit of an oily residue on my skin, but the skin underneath feels dehydrated. I’m not impressed. I will try to finish this night cream, but I’ll use it in conjunction with a facial oil, otherwise it might do the opposite of what it promises to do. Sante Naturkosmetik Instantly Smoothing Night Cream is available as 30ml. I paid £4.99 (TK Maxx).